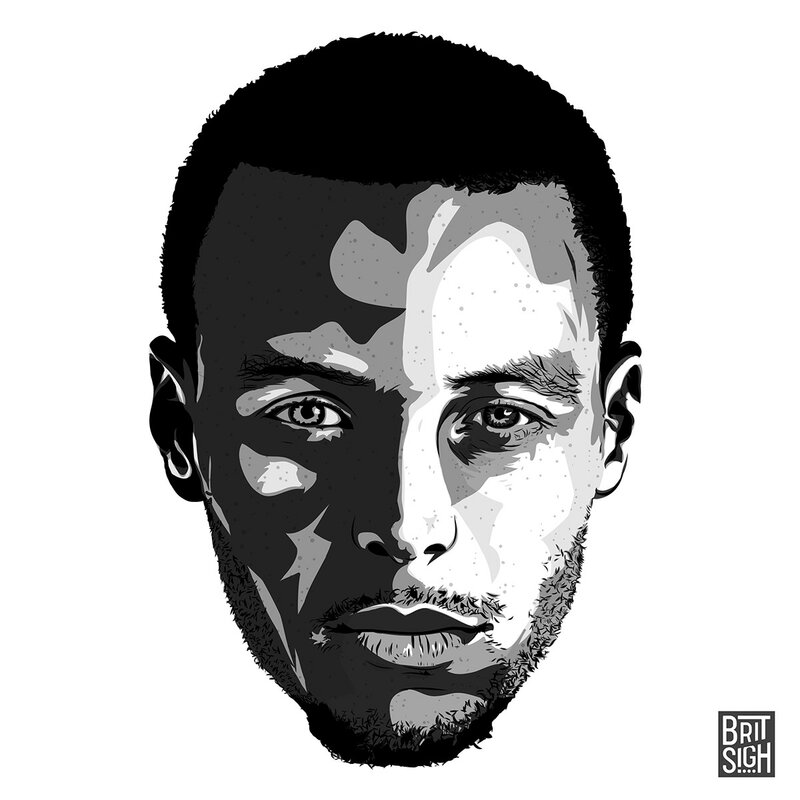 An illustration of the Golden State Warriors' superstar, Steph Curry. Drawn in Adobe Draw with an Apple Pencil. Close up Golden State Warrior's superstar, Steph Curry. Done with Adobe Draw and an Apple Pencil.